Candidates for the November 2014 elections were given the opportunity to respond to a few questions relating to autism. 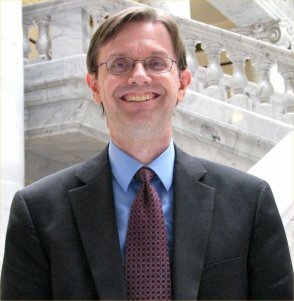 The following responses are from Fred Cox, candidate for Utah House District 30. Insurance Coverage: SB57 was passed in the 2014 legislative session. It goes into effect on January 1, 2016, and among other things, will require individual and large group plans to cover a limited amount of behavioral therapy for autistic children through age 9. The bill has a sunset clause which will cause it to expire on January 1, 2019. In 2012, I voted for HB 272, a small step on providing additional help for Autism. The concern at the time was would it do enough, and how to provide more help at an early age. An Insurance mandate was not passed. In 2014, the Legislature did pass SB57 with a sunset. Providing 2014 SB57 does provide the help needed and the costs are inline, and we don't have a better way that would pass, I would support renewal. Expansion would require the same evaluation. Wandering: Wandering (or elopement) is an issue that affects around half of children with ASD, as well as many people with Alzheimer’s and dementia. There are substantial costs involved with search efforts that often require emergency personnel. There are also promising technologies, such as smartphones, GPS, and Bluetooth, which can help with tracking these individuals. Fred Cox: Yes. I believe wandering is an issue that needs better understanding, training and solutions. Education: Education is a priority for many UAC members. Kids on the spectrum often require special education resources. What do you see as the current state of the Utah education system, including Special Ed, and what steps would you support to improve it? Autism, where help is provided early, increases the child's ability to function within traditional education systems. It is more costly to provide that help latter. That is one reason that the Carson Smith Special Needs Scholarship, is so important. As a taxpayer and architect, I see the money spent on buildings and will continue to advocate for an improved balance between cost savings and quality to the process. We can reduce costs while still maintaining the quality. Teachers often do not have the supplies they need, and in most cases deserve more pay for the critical work they do. Education funding is too complex and enough funding doesn’t make it to the classroom. I will work to bring more money to the classroom. Because of government regulation, teachers are fighting to teach the student. We don't need the anchor of governmental red tape hurting education with oppressive paperwork and a one size fits all approach. I will continue to promote parent and local control of education. Housing and Employment: When autistic people transition out of the public school system, many of them need help with housing and employment. According to the 2013 Annual Report of the Utah Division of Services for People with Disabilities, Over 5,000 Utahns received services, and 80% of them had an intellectual disability. Another 1,892 Utahns are on the waiting list. Since 1991, as an architect, I have supported and advocated designing buildings for people with disabilities and helping to improve accessibility to existing buildings. I have worked on projects for groups providing transitional support and training. Depending on what is being proposed and the details, I would support improvements to housing and employment opportunities for individuals with autism.